October 25, 2017. Written by Franz Türk. Kategorie: News. The new Gault Millau Guide has been published and we are overjoyed with five outstanding wine reviews. 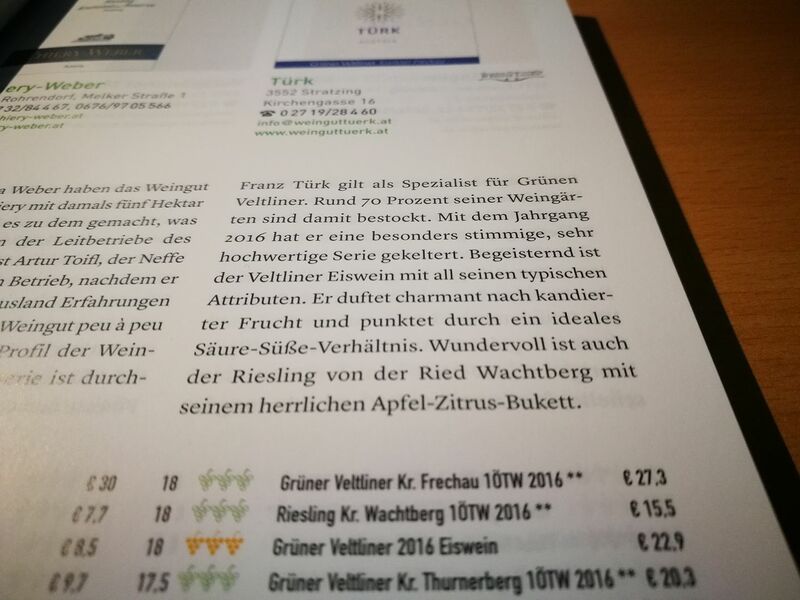 Franz Türk is highly regarded as a specialist for Grüner Veltliner, which makes up around 70 percent of his vineyards. With the 2017 vintage, he has produced an excellent, very high-quality range. All our wines are available from our Online-Shop.